The original since 1926. Murray's is one of the world's leading hair pomades. 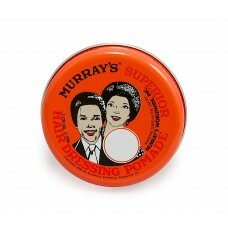 Stylists worldwide praise Murray's versatility and ability to create any style. Adds texture, shine and lift while holding the hair in place all day. Perfect for all types of people with all types of hair. 1 1/8 oz. can.